← WHERE did January go?! 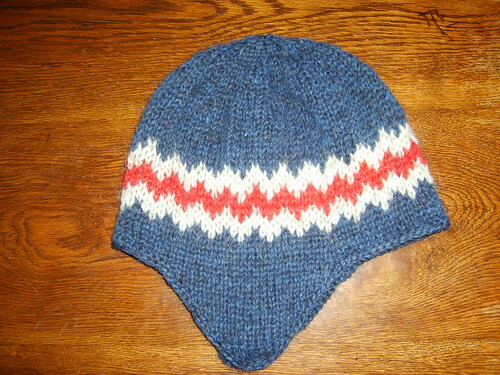 Inspired by the icelandic handball team, playing on EM in Austria, I knitted this hat for a birthday gift. It’s icelandic wool and the colors of the icelandic flag. Pattern: Dökk húfa úr tvöföldum plötulopa from the book Vettlingar og fleira. I made up the fair isle part. Yarn: Plötulopi (unspun Icelandic wool), had 2 strands together. Posted in knitting and tagged FO's, icelandic, lopi. Bookmark the permalink.